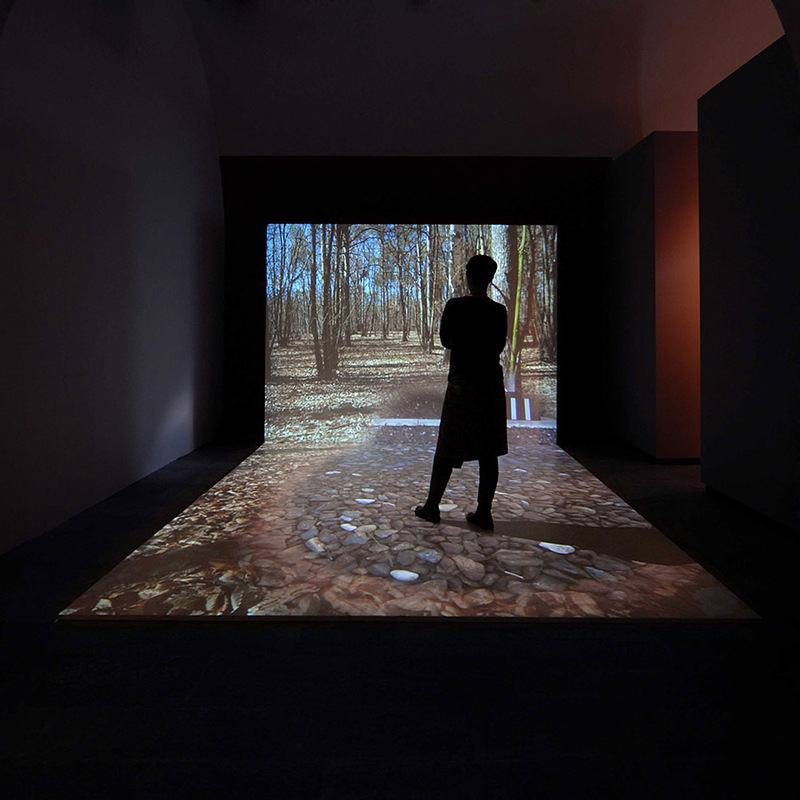 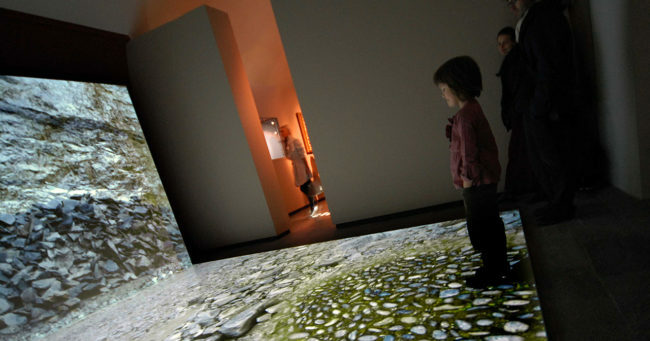 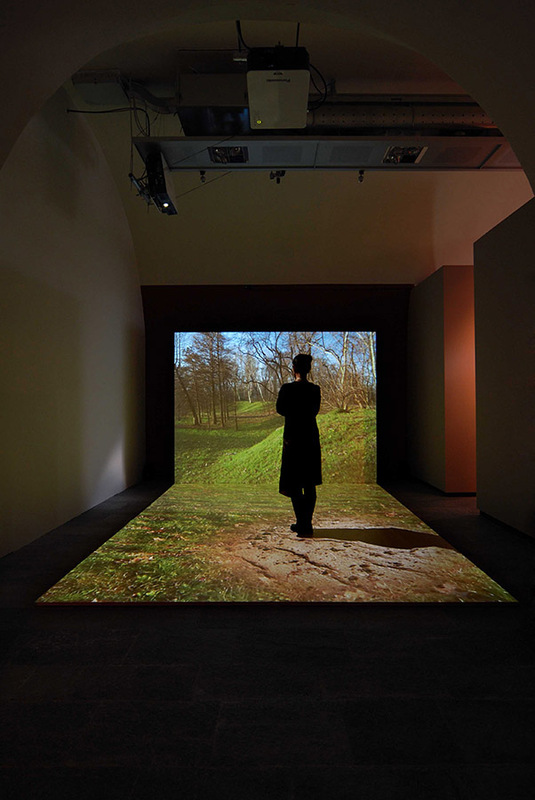 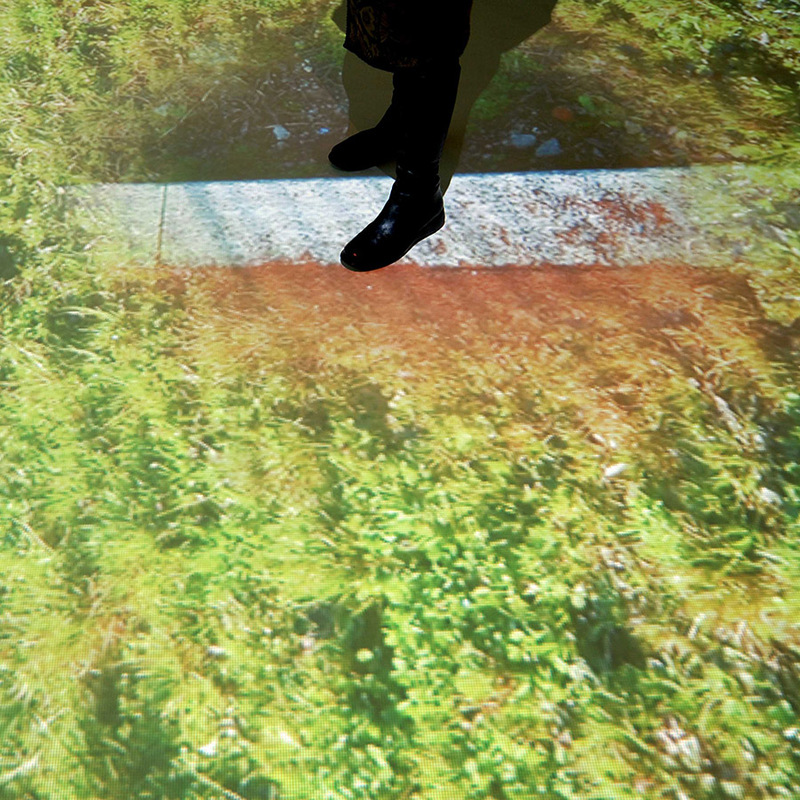 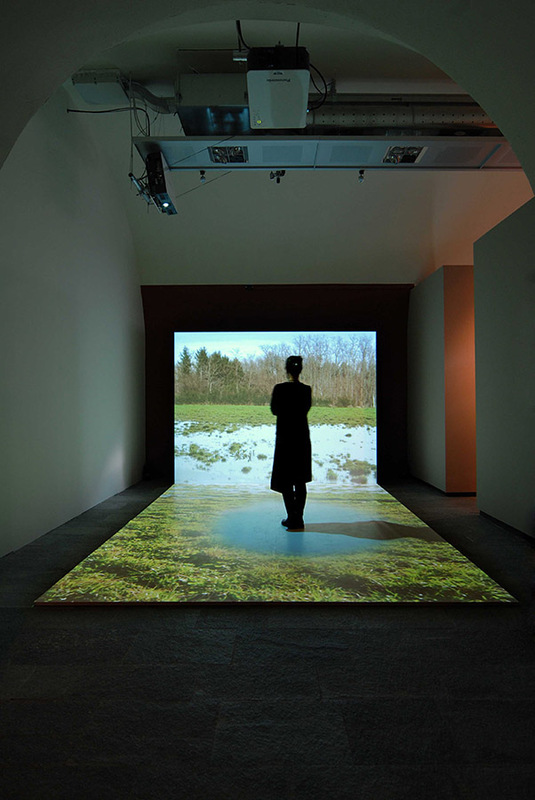 two adjiacent projections, one on the floor and the other on a wall, create a digital landscape the visitors can walk. 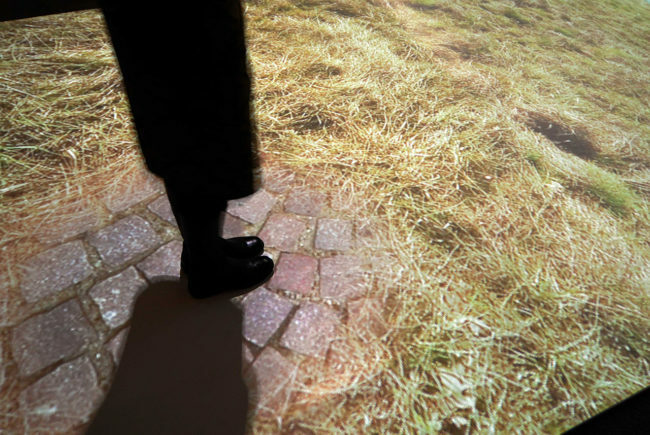 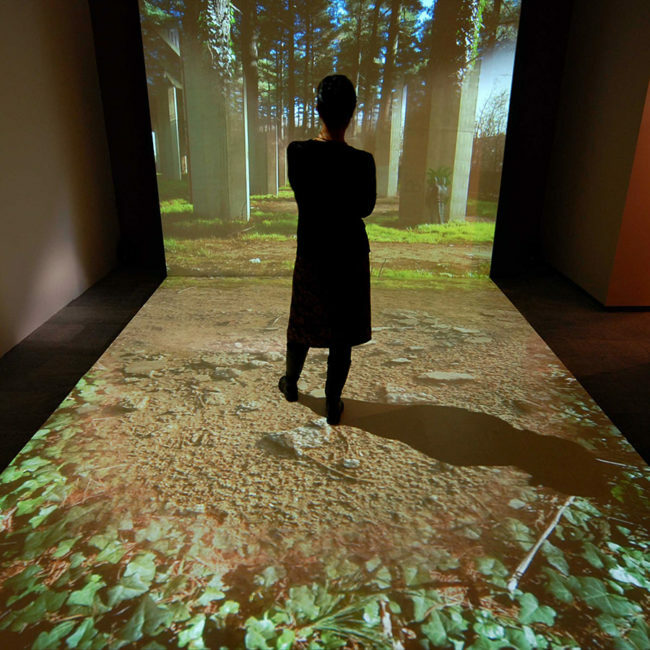 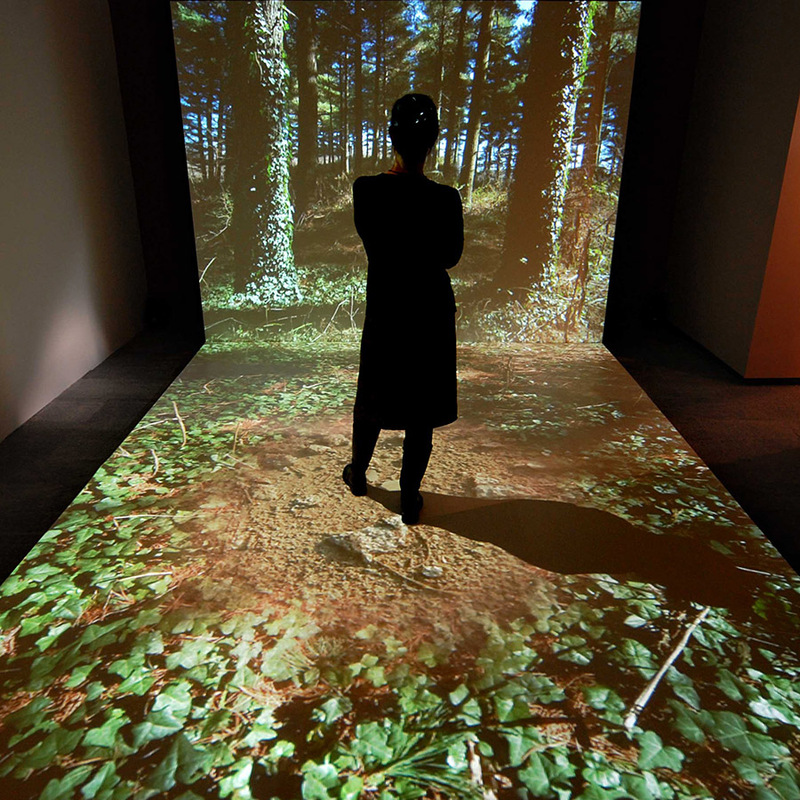 When a visitor stops on the floor projection, at his feet an animated mask comes alive and fills the landscape. 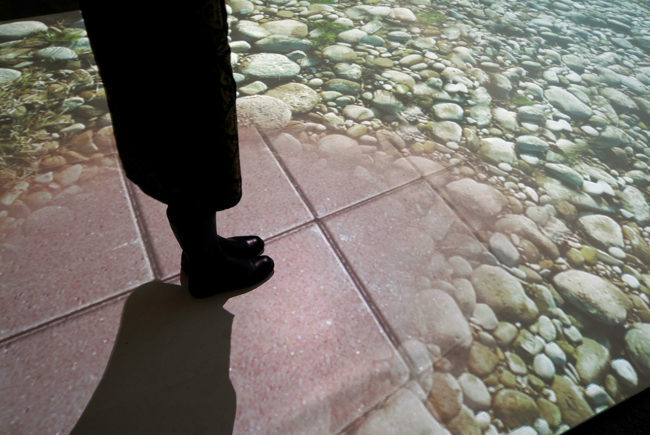 Interaction design, development, system integration and setup.